A neat personal appearance is expected of interns. The role of a teaching intern varies from state to state. Some states allow teachers with intern credentials to lead a class while pursuing a full teaching credential. 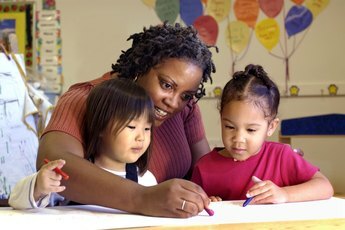 In other states, student-teachers must complete a certain number of hours working in the classroom alongside certified teachers. Despite these and other differences, many of the keys to landing a teaching internship are the same no matter where you are. When it comes to following school rules, practice what you preach. 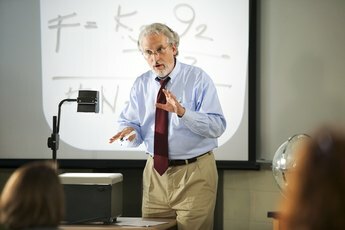 Most universities prefer to coordinate student-teaching jobs for their students, and many prohibit a student from attempting to find an internship independently. Be sure to check with your university to find out its requirements for applying for an internship. Also, check with your state board of education to find out its requirements for applying for an internship. Aspiring interns are expected to know and follow the rules, and those that don't might make a negative impression on school administrators. School districts hold teachers to high standards in a number of areas, including dress and behavior. To improve your chances of landing a teaching internship, dress professionally any time you meet with school personnel to discuss a possible internship. If you look like a teacher at your interview, it's easier for administrators to view you as a teacher and consider you for a position. Also, clean up your social media presence or implement strict privacy settings to ensure a picture of you sipping a martini during Spring break can't be viewed by the general public. Keep your comments clean and respectable, and refrain from sharing commentary about any other positions you applied for or other administrators you have met. Both student-teachers and credentialed interns must meet certain requirements before applying for positions. If you're pursuing a teaching credential through a university program, you must first meet the school's GPA and coursework requirements. Next, you need to file an application with your college for placement in a classroom. In states with intern teachers, you need to verify that you have received a credential from a school prepared to let you take part in its internship program. 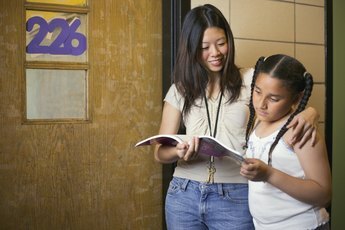 If you live in a state where you are responsible for setting up your own teaching internship, you must stay motivated throughout the application process. It might take multiple applications to different schools before you land an interview or job, so don't get discouraged if you get turned down a few times. According to the University of San Fransisco website, few teaching positions are advertised specifically for interns. To improve your chances, keep an eye out for jobs that request candidates with credentials. If the school decides to hire you, it will help you obtain the intern credential and provide support as you pursue full certification. Kentucky Legislative Research Commission: Kentucky Teacher Internship Program.